Military Project TALOS (Tactical Assault Light Operator Suit): They're hiring Hollywood special effects experts. Robert Downey Jr. isn’t consulting on the real-life development of Iron Man, but there’s still a big Hollywood presence. 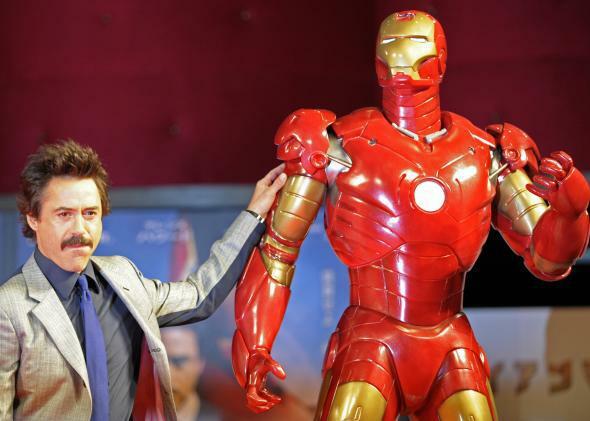 Who wouldn’t want to build a real-life Iron Man? Companies like Ekso Bionics have been working on it for years. Now, many of them are coming together to consult for the U.S. military on Project TALOS (Tactical Assault Light Operator Suit) and develop the ultimate robotic exoskeleton for soldiers. On the front lines of the project are the true experts: the Oscar-nominated special effects team behind the onscreen suit in Iron Man. According to the Journal, the deadline for a first wave of prototypes was approaching in May when U.S. Special Operations Command began using a warehouse near Tampa, Florida, to house plans, components, and suits that developers have created. Special Operations Command, which has put about $10 million into the project so far, reviewed the prototypes in late June. The goal is to accelerate TALOS so it can make progress more quickly than a normal military technology project that uses contractors. Developers consulting for TALOS say that it’s all about aiming high while also mediating expectations. Brian Dowling, who is overseeing Revision Military’s work on the project, told the Journal, “Will you ever have an Iron Man? I don’t know. But you’ll have some greatly improved technology along the way.” On the other hand, maybe the military just needs to pull it together—all Tony Stark needed to build the original suit was physicist Ho Yinsen and the threat of his own impending death.